While in Puerto Rico for my 30th birthday. I signed up for two excursions thru my hotel, the Hotel El Convento. 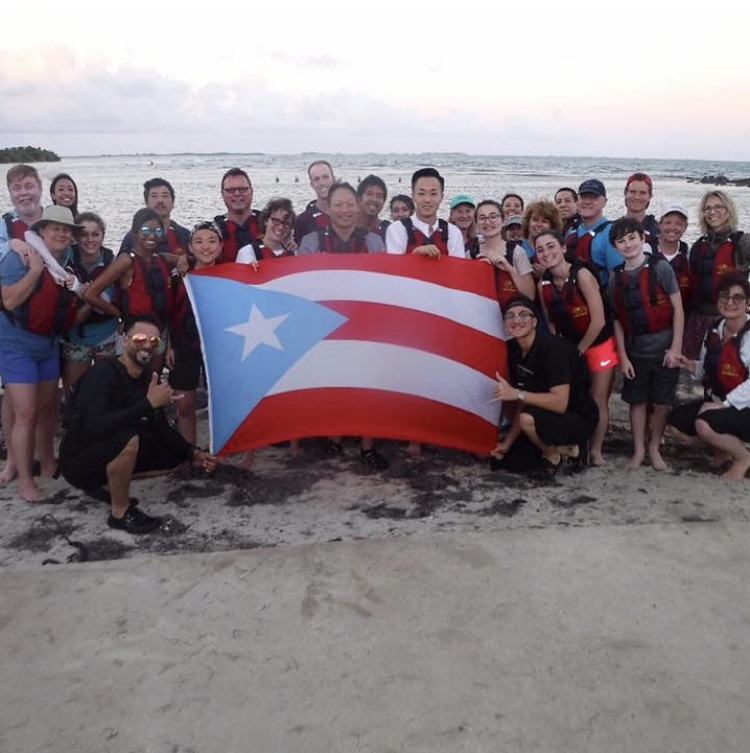 One was a hike thru El Yunque National Forest and the other was a kayak tour through a Bioluminescent Bay. For those of you that are not familiar with Bioluminescence. It is the production of light from a living organism. For example, the light that you see from fireflies and or deep sea fish in the water. Bioluminescence occurs in a variety of marine organisms. Microscopic Plankton were the organisms that gave off bioluminescence in Laguna Grande. 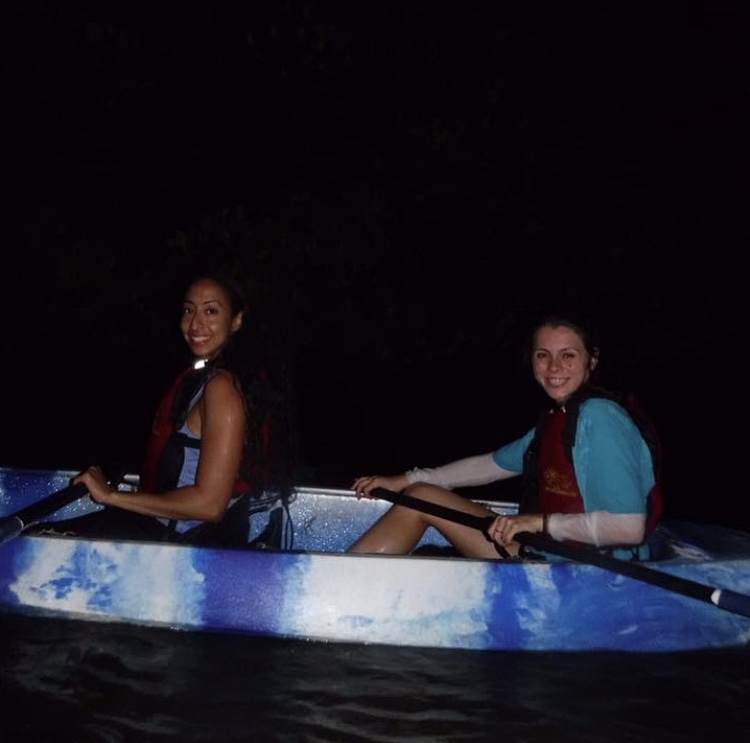 After hiking El Yunque National Forest, our next stop was to the Laguna Grande Bioluminescent Bay. There are only five bioluminescent bays in the world. You can find one in Jamaica, another in Vietnam, and three in Puerto Rico. I visited the Laguna Grande Bioluminescent Bay in Fajardo, Puerto Rico. After signing a waiver. I was paired up with other girl my size and we got into a glass bottom kayak. We had three tour guides. One lead the group, while another trailed along checking in with everyone and the last guide stayed behind the group to ensure no one was left behind. We kayaked for two hours through the mangroves of Laguna Grande. When we arrived at the bioluminescence bay it was still fairly light out. Our tour guides separated the kayaks into groups and gave each group a tarp to put over ourselves. That way it was dark enough for us to see the bioluminescent in the water. They instructed us to put our hands in the water on either side of our kayaks. As soon as our hands came in contact with the plankton down below you could see the bioluminescence light up immediately. It was so surreal. We stayed in the middle of the bay until it got dark out. As soon as the sunset the sky lit up with a million stars. It was absolutely breathtaking. When it was dark enough out we removed the tarps and were able to see the biolumenesccence as we kayaked. With every stroke of the paddle the water would light up. We were also in a glass bottom kayak so you could see the bioluminescence inside the kayak. I was told that the bioluminescence was difficult to catch on camera. So I ditched the electronics and decided that this was something that I wanted to experience rather than document. I want to thank the tour guides at glassbottompr. Who guided us along the way and took the photos that you see here. It was an overall amazing experience. I hope you enjoyed reading this blog post. If you have any questions please comment down below.